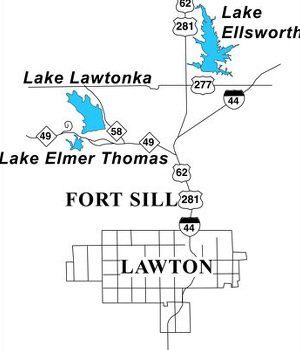 Whether it’s fishing, camping, water sports or hunting, Lawton, Oklahoma lakes offer endless recreational opportunities for the whole family. An angler’s paradise, our local lakes are renowned for some of the best bass fishing in the state. 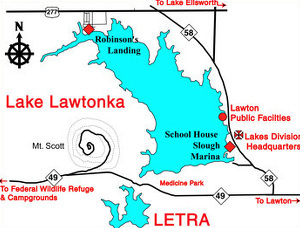 Below you’ll find maps of our local lakes. 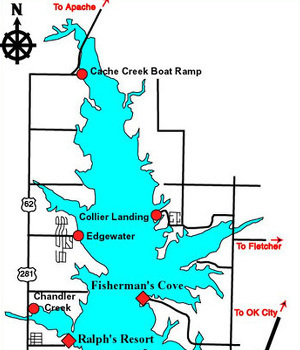 For more information on local fishing, visit the Oklahoma Fishing Guide. Each Best Western® branded hotel is independently owned and operated. © Best Western International, Inc. All rights reserved.